The famous Santa Barbara Biltmore. It's still there, although it's now a Four Seasons. And since the volcanos ceased erupting, the skies no longer look like they do on the matchbook covers. 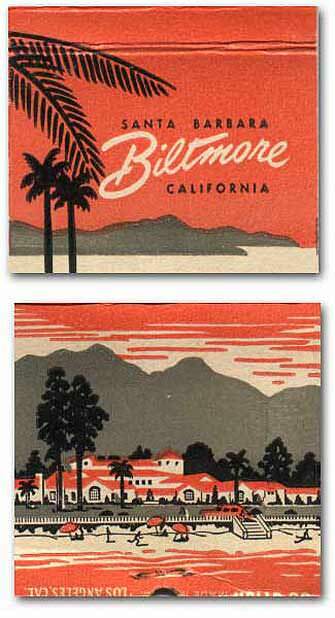 This matchbook was part of the collection that belonged to Ray Disney. What did he do here? Did he come for a nice stay, or did he visit a client in the famous dining room? Probably the former; no one wants to meet with their insurance agent at a resort. No matter how much you might like the guy.